The developer SeithCG announced in a post that the Ghost of a Tale will release concurrently on both on Xbox One and PS4 in February, 2019. The PC version of the game was released earlier this year in Mar, 2018. 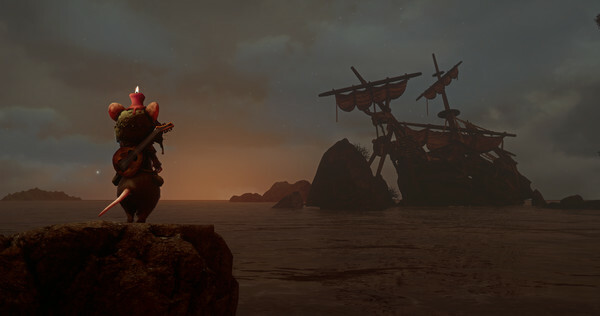 "Ghost of a Tale is an action-RPG game in which you play as Tilo, a mouse and minstrel caught up in a perilous adventure. The game takes place in a medieval world populated only by animals, and puts an emphasis on immersion and exploration. It features stealth elements, disguises, conversations with allies and enemies, and quests. You’ll be able to explore the secrets of Dwindling Heights Keep and navigate its dangers. Tilo is not much of a fighter, so stealth and nimbleness are your allies when confronted with enemies twice your size. Talk to the characters you meet and leave no stone unturned in your quest to find Merra, your true love…." Ghost of a Tale is available for PC and is set to release for Xbox one and PlayStation 4 in February, 2019.